Go to this web site and you’ll see a map. Click on Mexico and then click on San Miguel de Allende. Select the neighborhood you want and all the houses for rent in that neighborhood will come up. 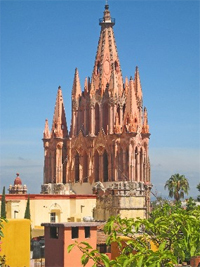 Vacation and long term apartment & houses, San Miguel de Allende, Mexico.